Japan’s premier reissue label Dub Store Records releases another stellar set from the vaults on King Tubby. This time it’s Gregory Isaacs’ chilling Warning, an album where he has joined forces with King Tubby and The Firehouse Crew for a moody and sombre excursion. Warning was originally released in 1990 on the Serious Business label and it’s partly computerised with dubwise mixing and blazing live played horns by Dean Fraser and Don Drummond Jr. It collects masterpieces like album opener Long Sentence and Once a Man, a skilful digital version of the mighty Fade Away riddim. The Cool Ruler as laid-back as always tackling the dark riddims. The eerie artwork actually sums up the mood pretty well. Dennis Brown was on top of his game in the mid to late 70s and he put out more than a handful of excellent albums, including Joseph’s Coat of Many Colours, Words of Wisdom and Visions of Dennis Brown. 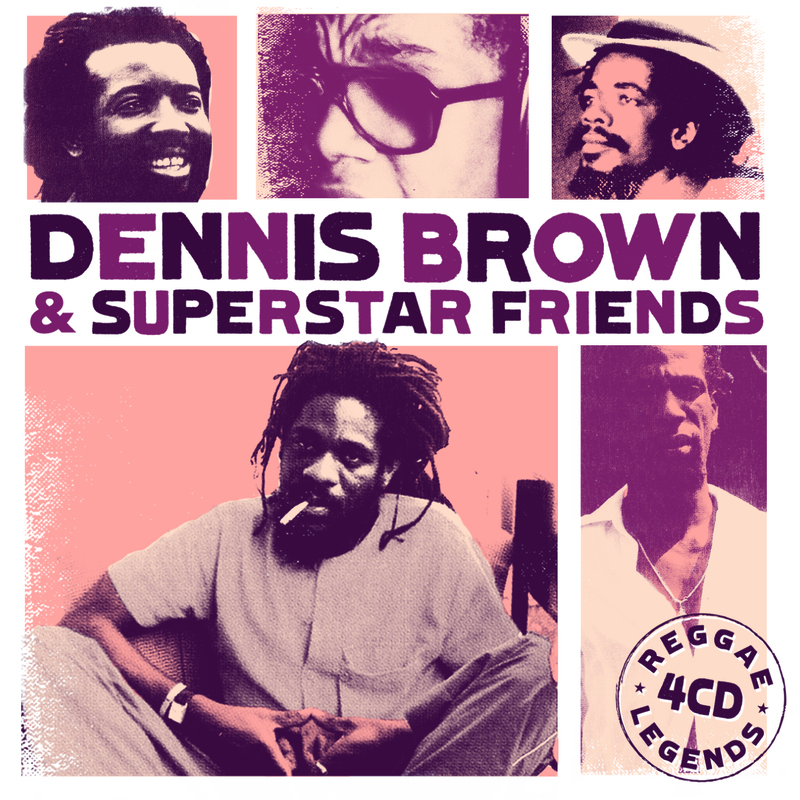 But this esteemed singer also dropped great material in the 80s and 90s, as shown on the brand new four disc box set Dennis Brown & Superstar Friends. It collects four original combination albums released between 1984 and 1993 – Judge Not and No Contest with Gregory Isaacs, Legit with Freddie McGregor and Cocoa Tea and Hotter Flames with Frankie Paul. Augustus “Gussie” Clarke was responsible for production on Judge Not, No Contest and Legit. These collect solo and duo tracks as well as several discomixes, discomixes that showcase the crisp and sharp hi-tech riddims that became Gussie Clarke’s trademark. Hotter Flames – produced by Patrick Roberts and Andre Tyrell aka Shocking Vibes – is rawer and more rugged compared to Gussie Clarke’s slick, yet with an edge, style. Included is no less than 38 tracks, and highlights include the massive Gregory Isaacs combination Let off the Supm, To the Foundation, No Camouflage, Big All Around, Bone Lies and a nice take of Bob Marley’s Natural Mystic. This set is a proper showdown where the Crown Prince of Reggae teams up with four of his superstar friends to make music for your ears and listening pleasure. The late Gregory Isaacs is one of Jamaica’s most beloved singers, equally at home with both lovers and cultural material, even though his silky side is most well-known. Over the years his material has been compiled over and over, and now it’s time again. But this new compilation is a bit different since it’s a box set that compiles four original albums with their original sleeves. Two of the albums – Private Beach Party and Red Rose for Gregory – were smashes at the time of release, and collects game-changers such as Rumours and Mind Yu Dis. The two others – I.O.U and Victim – were also successful, especially I.O.U and the single Report to Me. Three of the discs were produced by Augustus “Gussie” Clarke and singles such as the epochal Rumours and the smooth Let Off the Supm helped to revitalize their respective career. Hugh “Redman” James and Roots Radics were responsible for the underrated Victim, an effort that includes massive cuts like Rosie, Mr. Music Man and the title track. Together these four albums give an extensive overview of Gregory Isaacs’ career in the late 80s and many of the tracks became stables in the Cool Ruler’s live set at the end of the decade. 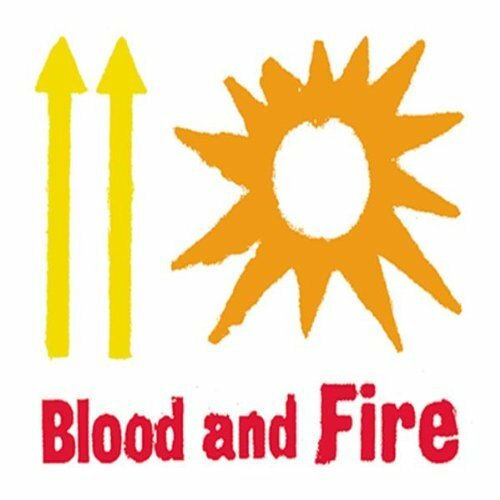 20 years after the first release – The Dreads at King Tubby’s – If Deejay Was your Trade – the mighty reissue label Blood and Fire Records rises from its ashes thanks to Steve Barrow, one of the founders, and reggae powerhouse VP. On Monday February 17 Steve Barrow wrote on social networking site LinkedIn – quoted on several forums – that the label will be relaunched the first quarter of 2014 and that the initial release will be a limited edition 12″ of Gregory Isaacs Mr Know It All. It’s scheduled for Record Store Day in April and will be followed by reissues in various formats from the acclaimed Blood and Fire catalogue. An official press release will be sent out shortly according to VP Records. Successful producer, engineer and label owner Prince Jammy, later King Jammy, has recently earned himself two collector’s box sets on reggae powerhouse VP Records. One of them – Rootsman Vibrations at King Jammy’s – was reviewed by Reggaemani only a week ago. 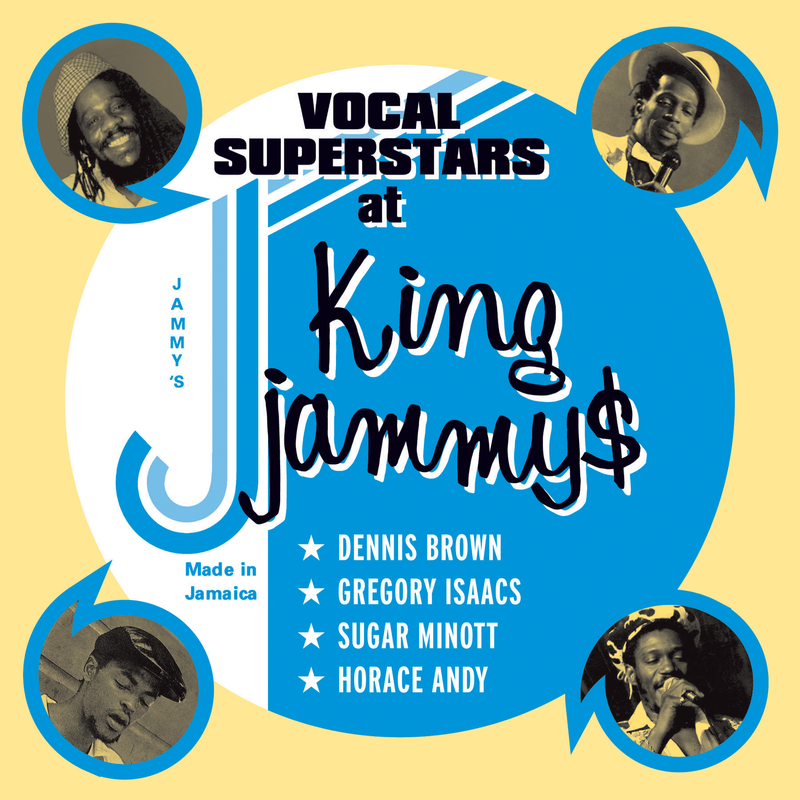 The second set is titled Vocal Superstars at King Jammy’s. And the title doesn’t lie. The four album box set collects one album each from Dennis Brown, Gregory Isaacs, Horace Andy and Sugar Minott. These are some of Jamaica’s most gifted and celebrated singers, and unfortunately Horace Andy is the only one still alive. This set isn’t as cohesive as Rootsman Vibrations. Or it has one main oddity – Sugar Minott’s Bitter Sweet. A great album in every aspect, but it’s an organic roots album with live instrumentation put out in 1979. The other three albums – Dennis Brown’s History aka The Exit, Gregory Isaacs’ Come Along and Horace Andy’s Haul and Jack-Up – were originally released in the mid to late 80s and have a completely different sound – sparse, computerized and digital with drum machines and synths. All albums bear King Jammy’s signature sweet reggae sound and even though none of them are regarded as a classic these days, they still sound strong and the box set showcases the shift from analogue reggae to digital dancehall. When normal fans devote time and money to build web sites or write fanzines for their favorite artists, UK-producer Curtis Lynch produces a 15 track album dedicated to one of his heroes– the late Gregory Isaacs. And when looking at the cover sleeve it’s obvious that Curtis Lynch is not just any fan since the Cool Ruler is pictured as some kind of angel on stained glass. On Gregory Isaacs Remixes Curtis Lynch has re-done and re-shaped eleven tracks recorded by Gregory Isaacs for Jamaican producer Augustus “Gussie” Clarke. The album includes a total of 15 tracks and collects classics such as Private Beach Party and Let Off Supm, but a number of tunes are rather obscure since they are taken from Gregory Isaacs’ less creative period. Curtis Lynch has re-played most of the music and only sampled a few bits. He has also pumped up the tempo and added the kind of ill bass lines your parents doesn’t want you to hang out with. The voice has however been affected by the changed tempo and Gregory Isaacs sounds a bit drunk on the monster hit Night Nurse. On cover albums or remix sets it’s always a tough task to be better than the originals, even though that’s probably not always the intention of the musicians or the producers. And the tracks on Gregory Isaacs Remixes are not necessarily better than the original versions, they’re just different with a contemporary and more electronic sound. I’ve to confess that I’m not a raving Gregory Isaacs fan. I like most of his cultural and roots-oriented material, but a large part of his output is too smooth for my taste. And with this new album Curtis Lynch has given his work a new edgier style, which is a good thing. In an interview Curtis Lynch recently did with Angus Taylor for United Reggae he said that his dad and his stepdad liked the album and that Gussie Clarke was pleased. Well, I’m too. 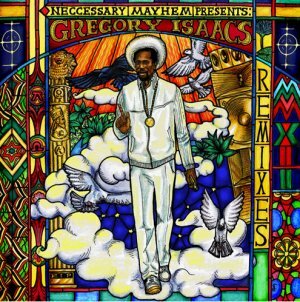 Gregory Isaacs Remixes is now available on CD and digital platforms. The reggae industry is flooded with unsung heroes. And one such is Jamaican producer Lloyd Campbell, who today runs the successful Joe Frasier imprint from Miami together with his daughter Michelle. But earlier in his career he was responsible for the Spiderman label, operated from Kingston, as well as the labels Rattie Soul, Lace and Eagle. Lloyd Campbell was born in Jamaica and relocated to the UK in the 60’s. It was here his career in the music business took off and it was here that he forged connections with artists such as Pat Rhoden and Denzil Dennis. 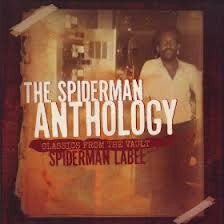 The Spiderman Anthology: Classics From the Vault is a various artists compilation collecting 19 tracks from the 70’s and 80’s. It includes all-time classics such as The Itals’ Ina Disa Time, Ronnie Davis’ Won’t You Come Home and Yellowman’s Operation Radication, probably his best track, and that says quite a lot. Included are also a number of lesser known gems. Only a Smile by the late Gregory Isaacs has only been issued at the Jama label in the UK and not seen much daylight, and neither has The Terrors’ fine tuned vocal harmonizing on Don’t Bother Me. The CD comes with an interesting booklet with a short introduction on Lloyd Campbell and his career followed by notes on each track along with historical photos. The Spiderman Anthology: Classics From the Vault is the first compilation of Lloyd Campbell’s early productions and is certainly long overdue. 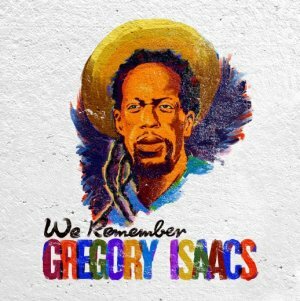 Since Gregory Isaacs’ untimely death last year several tribute albums and tunes have appeared. The earliest was The Tamlins & Naggo Morris & Dillinger & Trinity’s Oh What A Story on a relick of one of Gregory Isaacs’ biggest tunes – Soon Forward. 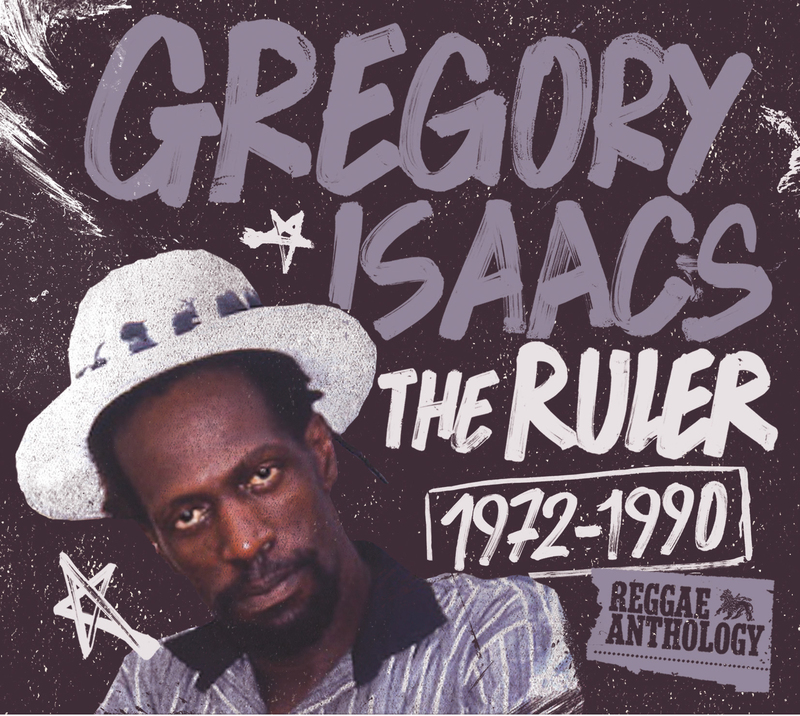 Other notable releases include saxophonist Dean Fraser’s all-star project We Remember Gregory Isaacs, Suga Roy & Conrad Crystal’s Universal Tribute to Gregory Isaacs and VP’s compilation Gregory Isaacs – The Ruler 1972-1990. The latest addition is Tad’s Records‘ two disc compilation The African Museum + Tads’s Collection II, and follows in the footsteps of the first part released in 2007. It includes 41 tracks from Gregory Isaacs’ sublime catalogue spanning from the 70’s up until his more recent material. Part of the proceeds from the sales of the album will benefit the Gregory Isaacs Foundation. Gregory Isaacs and Tad’s Records CEO Tad Dawkins have a musical history together, so this compilation naturally includes some of his productions, such as All I Have is Love Love Love, Tenement Yard and Continent Woman, all of which were recorded in the mid 80’s. Other producers include Gregory Isaacs himself, Winston “Niney” Holness, Sly & Robbie and Errol “Flabba” Holt, with whom Gregory Isaacs recorded his smooth international hit song Night Nurse, included here in a delightful extended version. It’s clear that several of the songs on this compilation overlap with those on VP’s The Ruler 1972-1990. However, the latter also includes a bonus DVD and extensive liner notes. 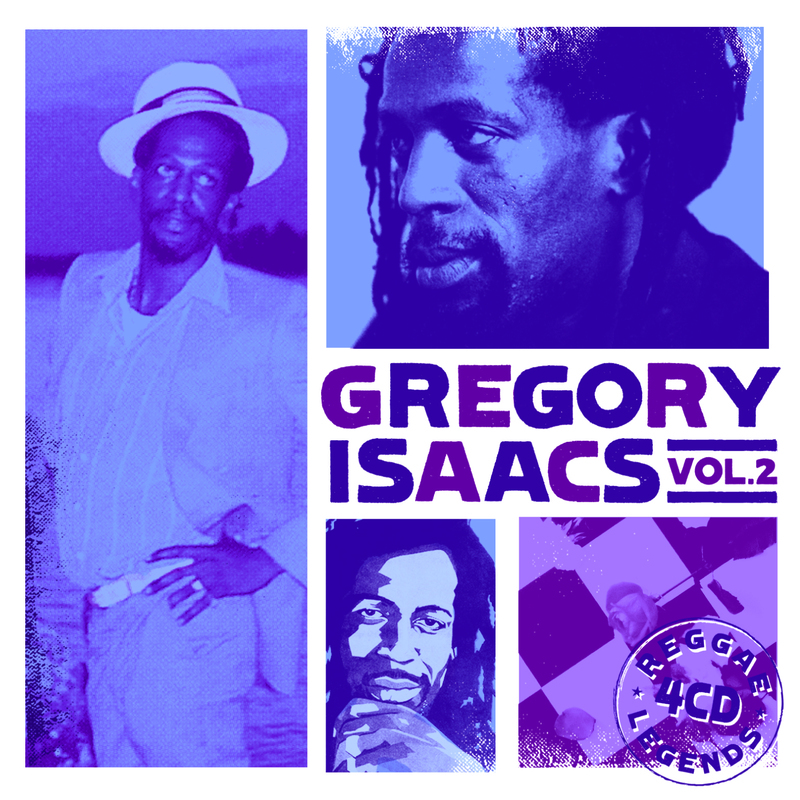 Gregory Isaacs’ catalogue is certainly strong enough for two compilations, and both sets are a great mix of lovers and cultural tunes, on which Gregory Isaacs’ showcases his slick, laid-back style. Always cool, always easy and always excellent. Last year when Gregory Isaacs died of lung cancer only 59 years old I put together a list with some of my favorite songs with the man called the Cool Ruler. Almost all of these ten tunes – and about another 30 – are collected on the brand new compilation The Ruler, which also includes a DVD with a live performance at the Brixton Academy in London in 1984. Gregory Isaacs certainly had one of the most distinctive and most recognizable voices in reggae music. He was vulnerable and intimate and always sounded like he had just been left by his woman for another man. This smooth and crooning approach was particularly well-suited for heartfelt ballads, and Gregory Isaacs was a pioneer in the lovers rock genre with the gentle My Only Lover. But he had another, more rootsy, side too. And he always sang those songs in the same honest and sensitive tone. Always easy-skanking and mellow, regardless of the lyrical content. Both of these sides of him are showcased on The Ruler. It includes material from the early 70’s and his debut album All I Have is Love up until the 90’s and his momentous collaboration with producer Augustus “Gussie” Clarke. During these years Gregory Isaacs managed to work with several of the most acclaimed Jamaican producers and musicians. But he has also made a considerable amount of crucial self-productions. The Ruler includes both, which makes this compilation a thorough and worthwhile summary of Gregory Isaacs’ legacy. Gregory Isaacs – who passed away last year – is one of the greatest voices in reggae music ever. Always relaxed, laid-back and almost nonchalant in his tone. It is for a reason why he went by the name The Cool Ruler, which was also the title of one of his self-produced albums in the 70’s. Saxophonist and producer Dean Fraser was a friend of Gregory Isaacs and he is also the producer behind the Gregory Isaacs tribute album We Remember Gregory Isaacs. This double album has 16 contemporary reggae artists paying tribute to Gregory Isaacs’ on one disc and Dean Fraser going wild with his saxophone on the other. Most of the artists on this compilation weren’t born when these beautiful songs were originally recorded in the 70’s and the 80’s. But that doesn’t really matter. Because this set doesn’t want to imitate the original versions. This is contemporary and polished one drop reggae. That’s the main problem – too smooth versions of mostly Gregory Isaacs’ lovers rock efforts. We Remember Gregory Isaacs could have been a little rougher around the edges. Busy Signal’s version of Hard Drugs is the strongest cut. It’s not up-tempo, but it has a certain energy that the whole album could have needed. The best Gregory Isaacs tribute so far is the Irie Ites-production Oh What a Story on a relick of the Soon Forward riddim. The Tamlins, Naggo Morris, Trinity and Dillinger sings and deejays in fine style.